My name is Celeste Young. I am 22 years old and I am from Jackson, MS. 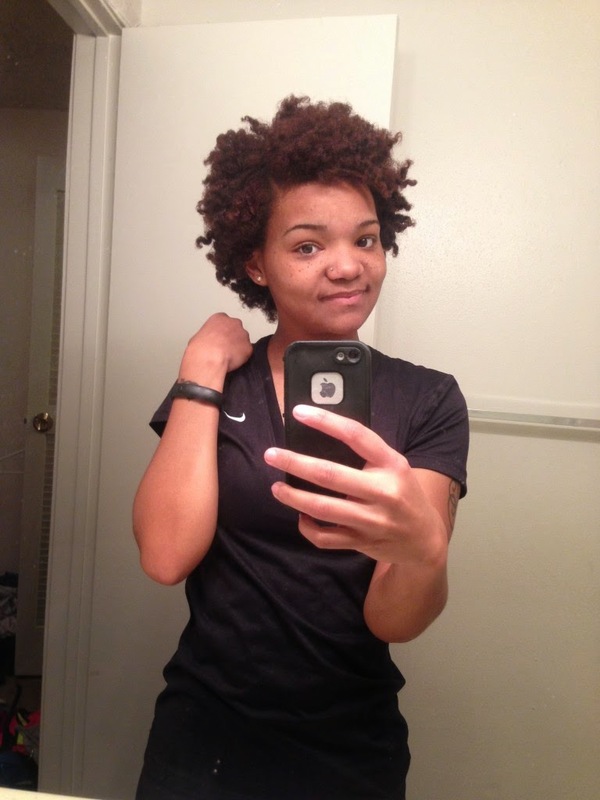 I have been fully natural for 7 1/2 months. I decided to go natural when I found out that I was going to be a mother to a baby girl! I knew that I didn’t want to relax her hair, so in order for me to do that I had to have experience in taking care of natural hair. I transitioned for a while while wearing twists and weaves and finally big chopped 12/29/12, a few days after my daughter's first birthday. I big chopped because the two textures became overwhelming. 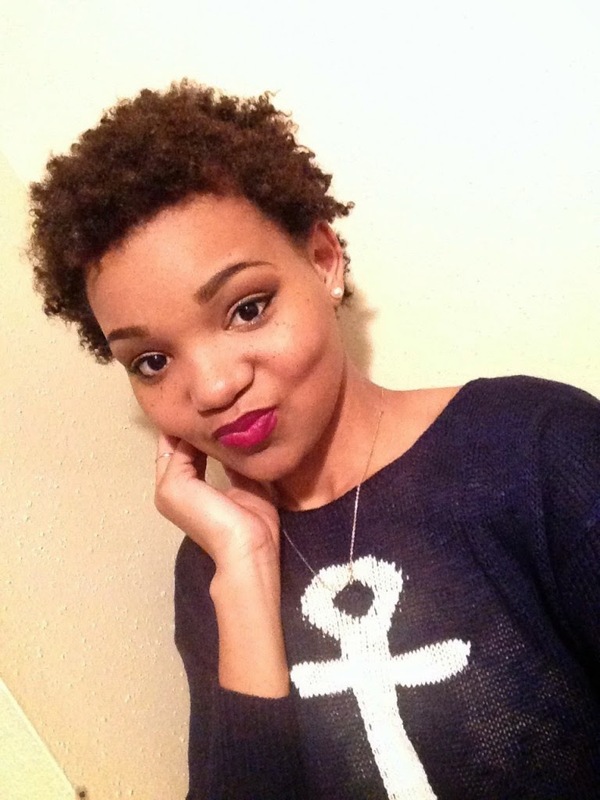 I actually did my own big chop, having to do it again a few days later to get it all even. I guess you could call that a Christmas present to myself. I would describe my hair as thick, coarse, and tightly curled and coiled. Making my hair type 4 a, b, and c.
What I like most about my hair is its fullness. I LOVE AND LIVE FOR BIG HAIR! 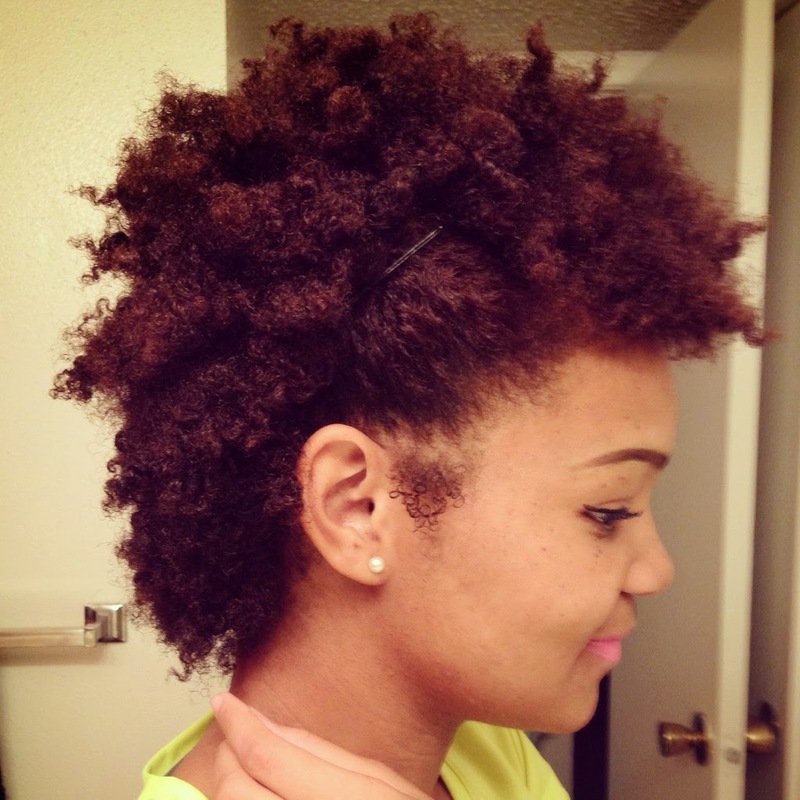 The most memorable part would be the late nights of staying up doing twist-outs! Has it been easy? I would say overall, yes. There’s so much info out there that has helped me along my journey. No, no two people have the same hair, but with all the sites, videos, and photos ANYTHING helps when you know nothing at all. As stated above, my transitioning styles were twists, weaves, and two jumbo flat twist using only my hair. 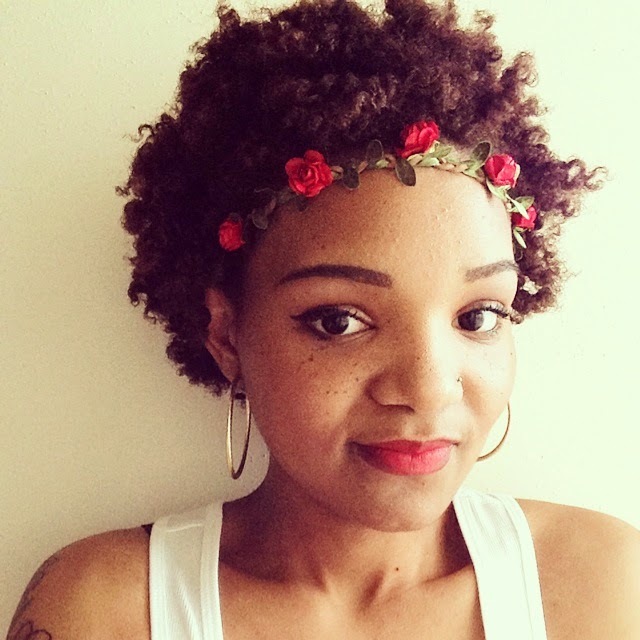 Some good experiences would be achieving the perfect twistout and when I tried a puff for the first time! Bad experiences would have to be when I mixed the wrong products together after just freshly washing my hair! As far as reactions go, everybody LOVED it, except a few friends. My weekly hair regimen is fairly simple. On my off days, Mondays or Saturdays, I co-wash my hair with Aussie Moist Moist conditioner or Shea Moisture Co-wash. Then, I deep condition with a DIY deep conditioning treatment for at least 30 mins, sometimes longer. I oil my scalp with an oil mixture of JBCO & Vitamin E oil. After my hair air dries a little, I twist it using the LOC or LCO method, using bobby pins at the roots to keep them stretched a little more while in the process of drying fully. Am I a product junkie? My husband and friends think I am. But I think that since I’m still in my first year, it’s okay to still try new things lol. My favorite products would be Cantu Shea Butter Leave In Conditioner, all Shea Moisture products (my favorite line so far), Aussie Moist Moist Conditioner, Raw African Shea Butter, Coconut Oil, 4Naturals Stretching Cream, and Extreme Gel by Wetline. Who are your favorite vloggers and bloggers? 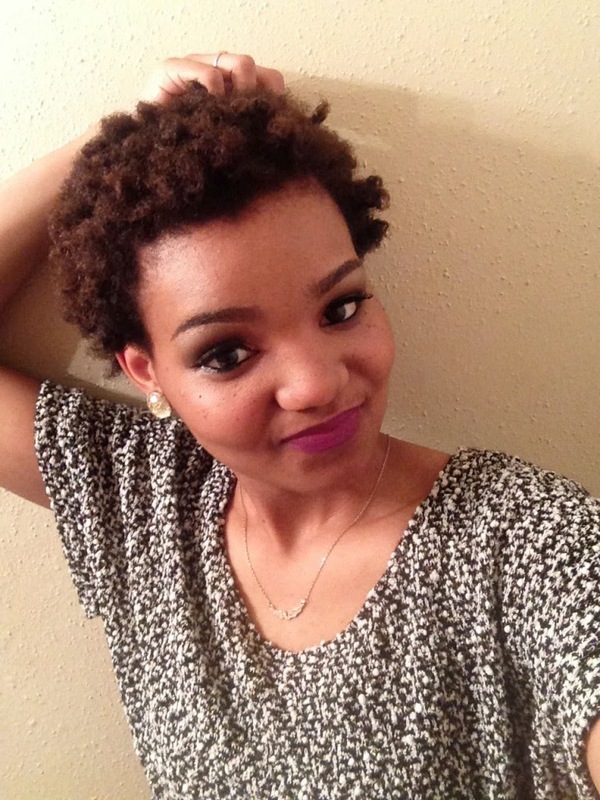 Natural hair favorites…. I have SOOOO MANY. So, I’ll name the first five that come to mind by their Instagram names. Words of encouragement: Never let anyone tell you, you have “bad hair”. All hair can “look” like something, you just have to put in the effort. Enjoy your natural hair and have fun. 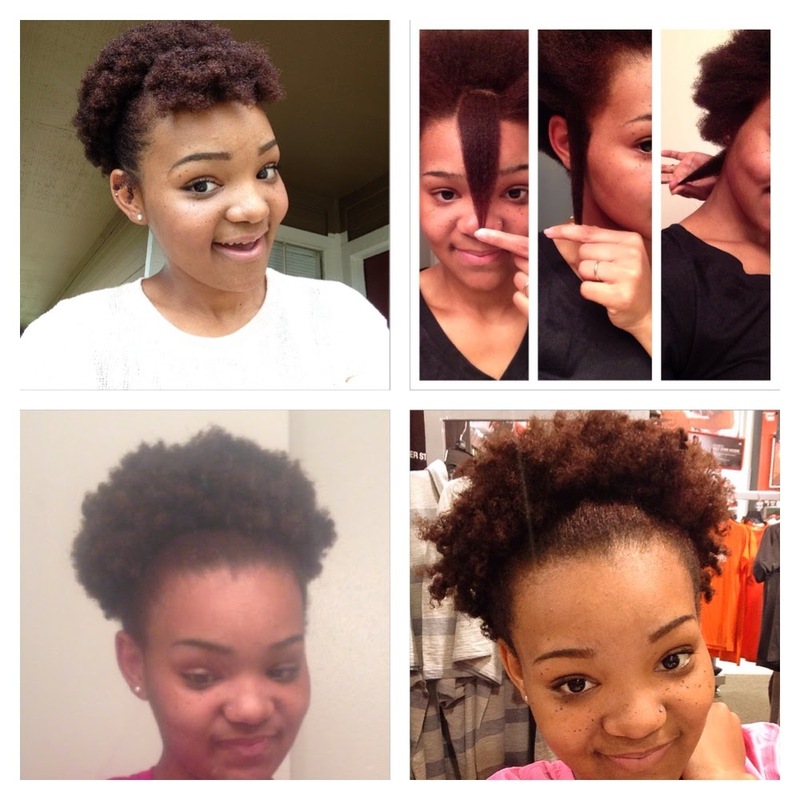 This journey does get bumpy at times but stay motivated, have patience, and love your natural hair !